Through the centuries, paper has proved itself indispensable to mankind. Man's unique intellectual and creative powers have found spectacular expression on paper. Paper has made history by recording history. At AMOL Group, we are totally committed to the cause of paper. It is our belief that the true worth of paper is inestimable. Even our name symbolizes it – in Hindi, the word (Amol) means 'priceless'. Our first firm, dealing in waste paper and other raw materials used by paper mills, was established in 1904. In the early 1950's, we started a group of firms marketing specialty papers like Greaseproof, Glassine, Laminating Base, Silicone (Release) Base, Tissue and Twist Wrap, to name only a few. Incepted at Ajivali, just 93 kms from India's commercial capital, Mumbai (Bombay), AMOL PAPER MILLS PVT. LTD. went commercial in mid - 1995 to manufacture Pure / Genuine Vegetable Parchment and allied specialty grades. 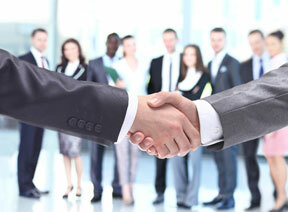 Highly dedicated and trained professionals form an integral part of Amol Group.